After earning rave reviews at SXSW, we have our first clip from the new action comedy Spy. The movie re-teams director Paul Feig with his Bridesmaids and The Heat breakout star Melissa McCarthy. This scene also includes Bridesmaids star Rose Byrne as a Russian villain named Raina who kindly insults McCarthy's super slick secret agent. 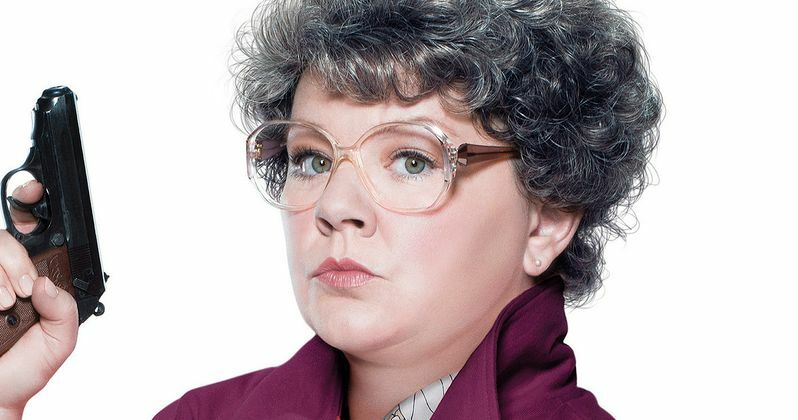 From 20th Century Fox, the R rated Spy follows Susan Cooper (Melissa McCarthy), an unassuming, deskbound CIA analyst, and the unsung hero behind the Agency's most dangerous missions. When her partner (Jude Law) falls off the grid and another top agent (Jason Statham) is compromised, she volunteers to go deep undercover to infiltrate the world of a deadly arms dealer, and prevent a global disaster. Part of her mission finds Cooper infiltrating the security ranks of a Russian Kingpin's daughter, which we get to see here.